Applied to the healthy claw with the quick drying resin included., Cowslips take the weight off the damaged or infected claw, thus alleviating pain. The glue is mixed within the shoe, no mess, no fuss, and no extra equipment necessary. The glue is not temperature sensitive. 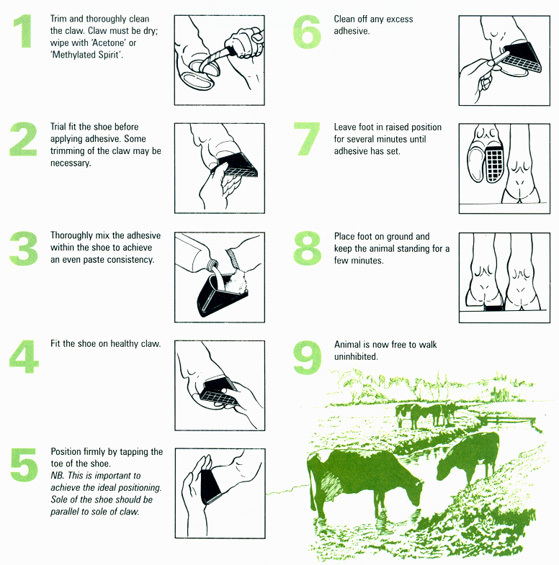 The glue has been specifically designed to form a secure and watertight bond with the hoof. 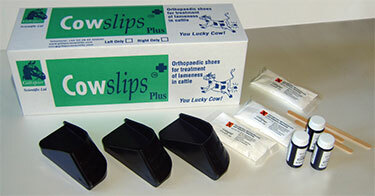 Made from highly durable PVC, Cowslips are orthopaedic shoes for the treatment of lameness in cattle. Fitted to the healthy claw, Cowslips take the weight off the affected claw, thus alleviating pain and accelerating healing. The cow’s mobility improves, weight is gained and milk yield increases. With three sizes available, Original, Plus and XL, finding the perfect fit will be easy.